We are constantly moving, and Samsoft recognized the need for applications which will accompany you and your clients everywhere! Samsoft’s team, undertakes the design and development of mobile applications, which cover all your needs, and you don’t have to compromise anything! Mobile applications development, is done by Samsoft’s team using cutting edge technology, following best practices and optimization techniques, in order to guarantee that each mobile application we develop, has the lowest possible resources consumption from your mobile application. The experience and knowledge of Samsoft’s team, is what it takes to watch your ideas become real, for well-known and commonly used platforms (Android iOS, Windows Phone etc). But I already have a mobile friendly website! Do I need a mobile application too? It is not a nescecity, especially if the mobile application is not offering extra features for the end user (added value). Other than that, giving your website visitors, e-shop customers or web application users, the ability to continue their navigation, using a mobile application is important for three main reasons. To begin with, a mobile application, allows users to continue their navigation without an active internet connection to be required. So, give them the ability to view your products or to meet your services, without the need for WiFi network or internet connection in general, and use for your benefit their free time, while they are getting back home from work, or waiting in line of some public service. You may even allow the completion of certain operations, such as posting comments to your latest article, or completing a purchase, and as soon as an internet connection is available, the mobile application will automatically sync offline data with your website, e-shop or web application. Another basic feature of mobile applications is the ability to use push notifications. Through the use of mobile applications you are able to notify in real-time your website visitors about your latest post, your customers about a sale or your web application users about the completion of a long running task. Finally, a mobile application is a point of continuous contact with your visitors or customers. 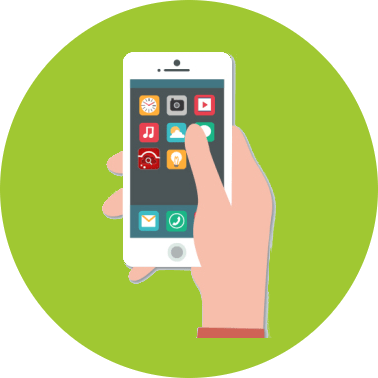 We live in a time where everyone live their lives “through” their mobile devices, and the ease a mobile application provides could be extremely beneficial for you and your business.